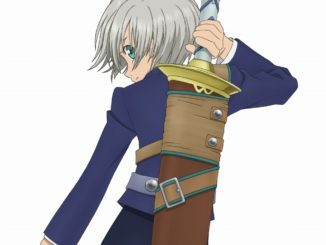 The leak from yesterday confirmed not only Tales of Xillia 2's release date, but also the introduction of Ludger's older brother (Julius Will Kresnik) and the return of Leia and Alvin. 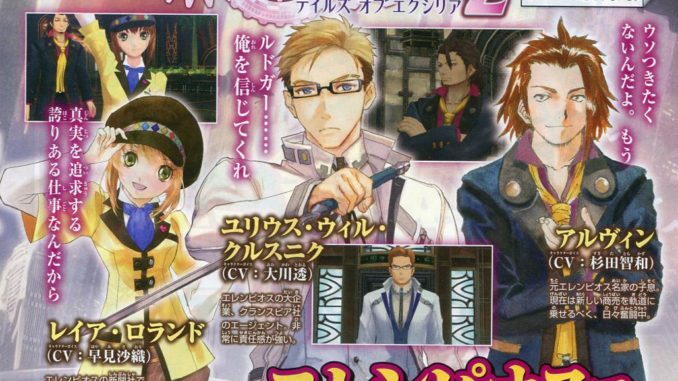 Again, I'm waiting for a better scan to confirm if these three are even playable, but from what I heard, they might be. 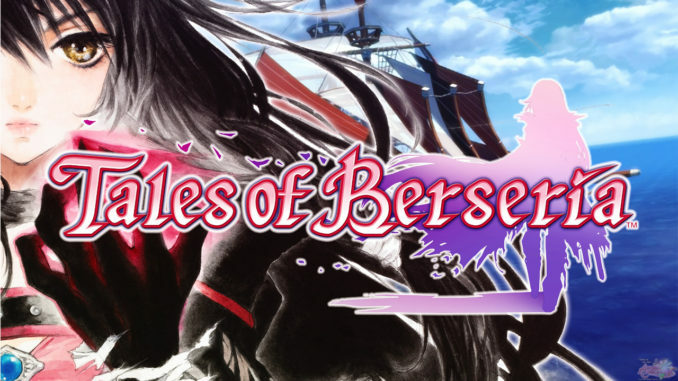 Both are confirmed playable. They're also being named "the people who live in Elenpios", Leia and Alvin included. 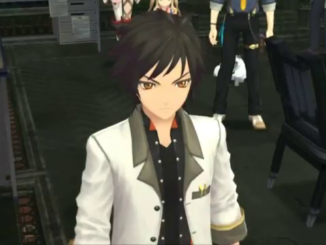 "Ludger... Please believe in me." - Works as an agent for the Clanpios company, and is someone with an extraordinarily strong sense of responsibility. "I find the truth in my job, and I take pride in it!" 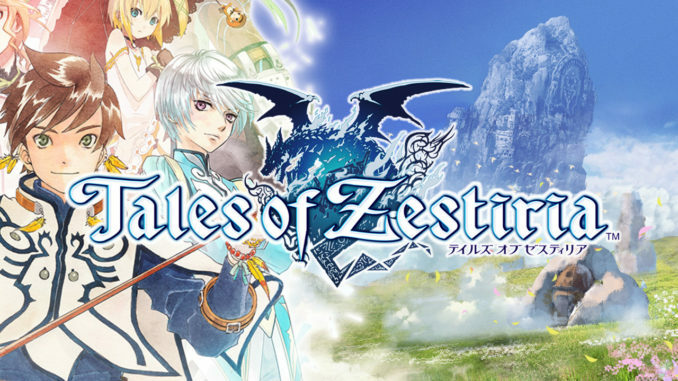 - Leia currently works as an apprentice reporter for a newspaper company in Elenpios. "I don't want to lie anymore." - He's currently starting a new business, and has been growing a beard because of it (what). 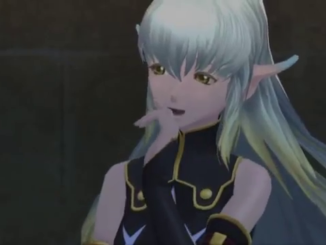 Also, according to an interview with Leia's voice actor about how she'll be working in Xillia 2, apparently Leia and Jude practically "act like a married couple" in the game. That kind of confirms Jude somewhere here, too. 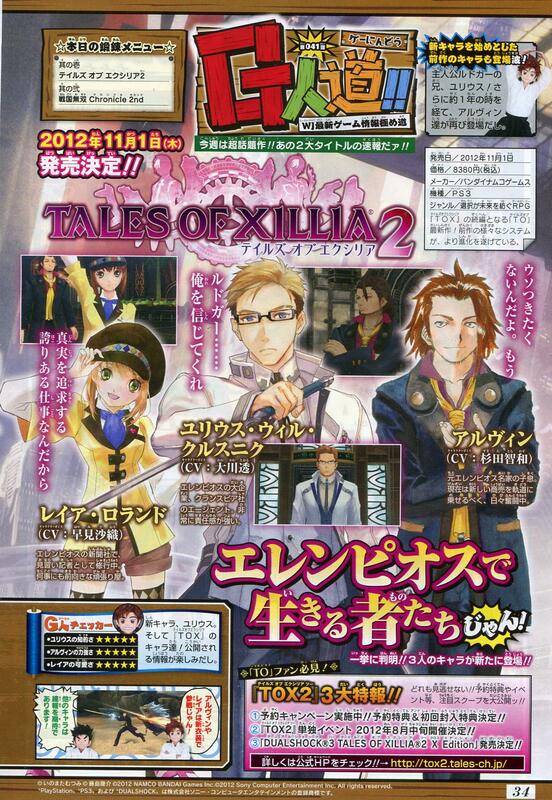 Tales of Xillia 2 will be released November 1. 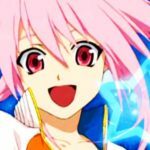 Play-Asia will have the pre-orders here very soon.